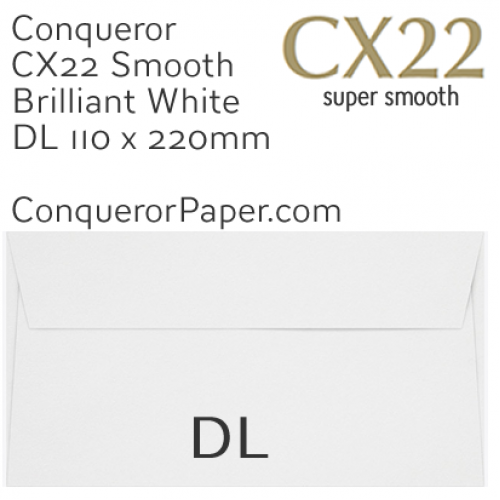 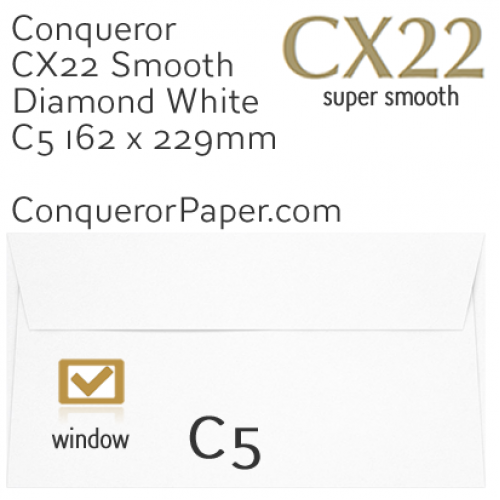 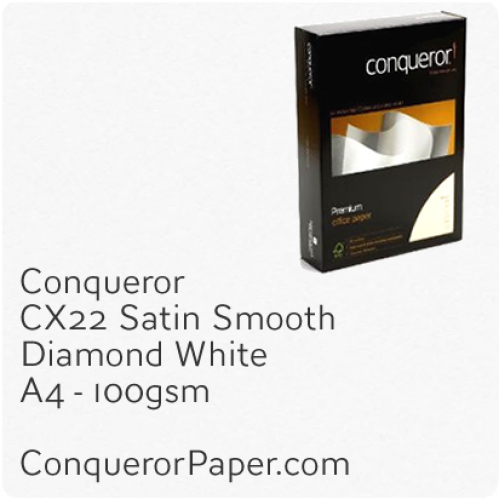 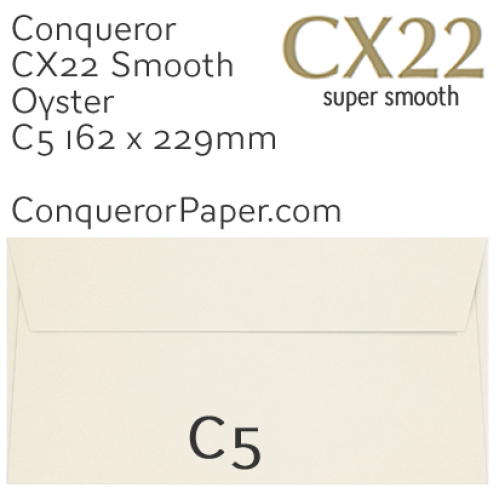 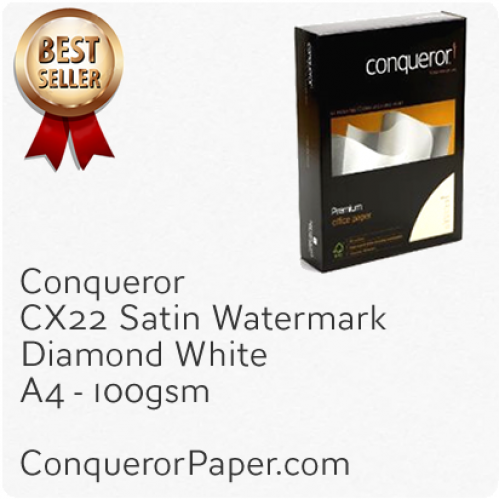 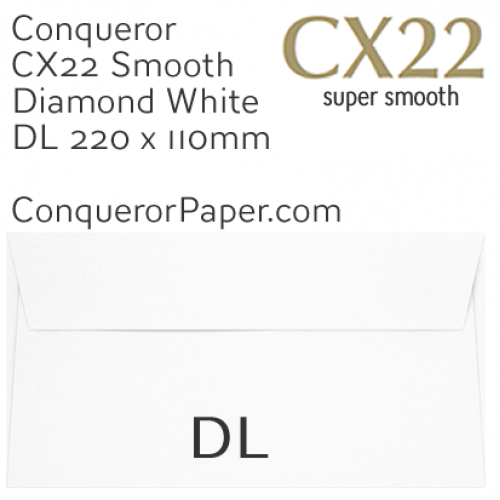 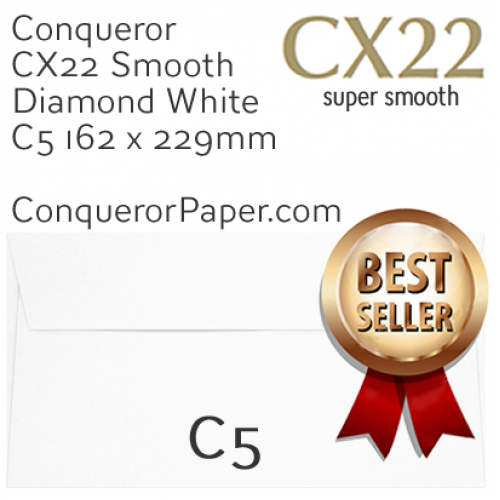 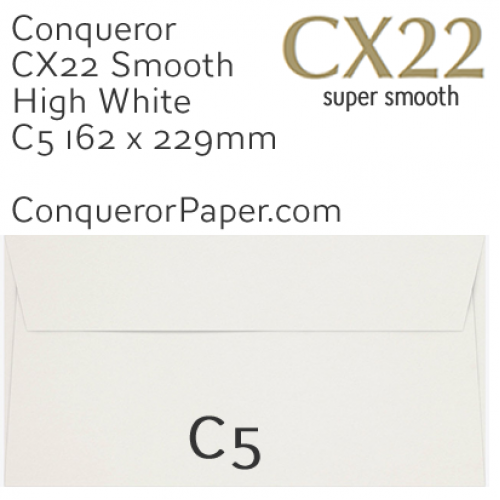 Conqueror CX22 super smooth satin collection of papers and envelopes is ultra polished and sleek to the touch offering superb performance. 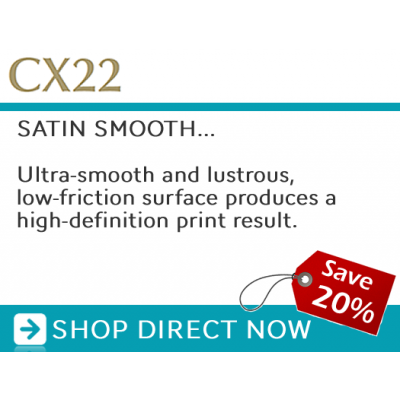 CX22 is particularly suitable where fine images and good ink lift is essential. 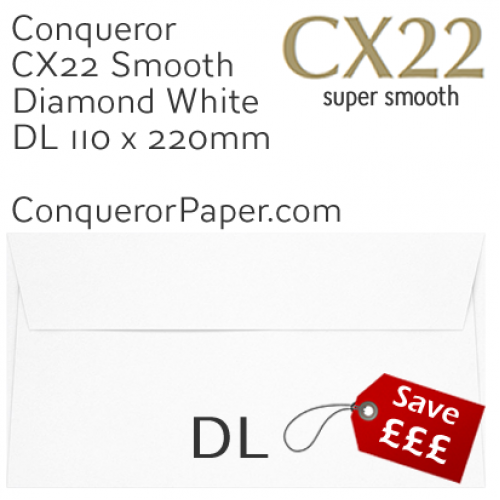 The smoothest paper in the range, resulting in image enhancement to the highest standard. 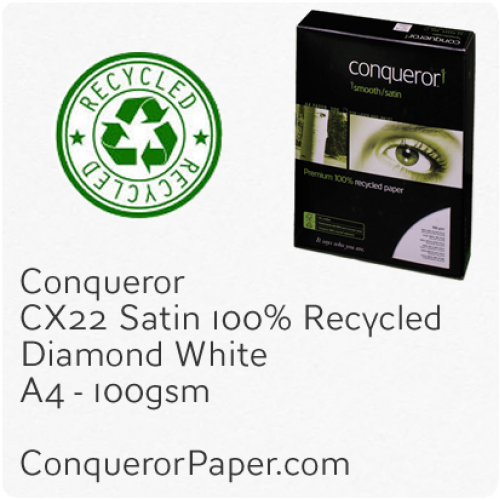 Buy today and earn Reward Points. 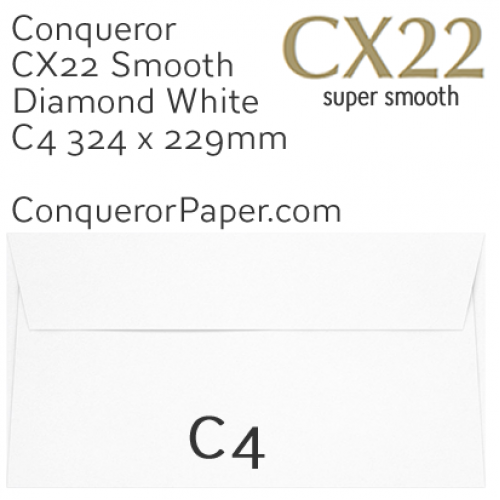 All weights available in A4 size. 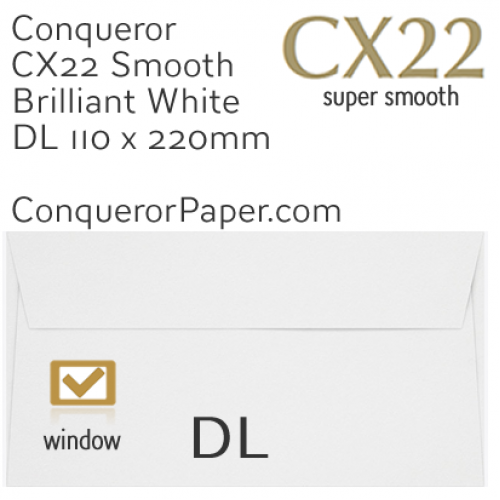 Prestige Envelope* Brand CONQUERORWINDOW = NoSIZE = C5 162 x 229mmTYPE = Wallet (flap on long edge)FLAP = Super Seal (Peel and Seal)COLOUR = High Whit..